Rooney Elmi is an Ohio pavement pounder who created SVLLY(wood), a library of screen musings that is "carving a subversive current in the cinematic status quo." 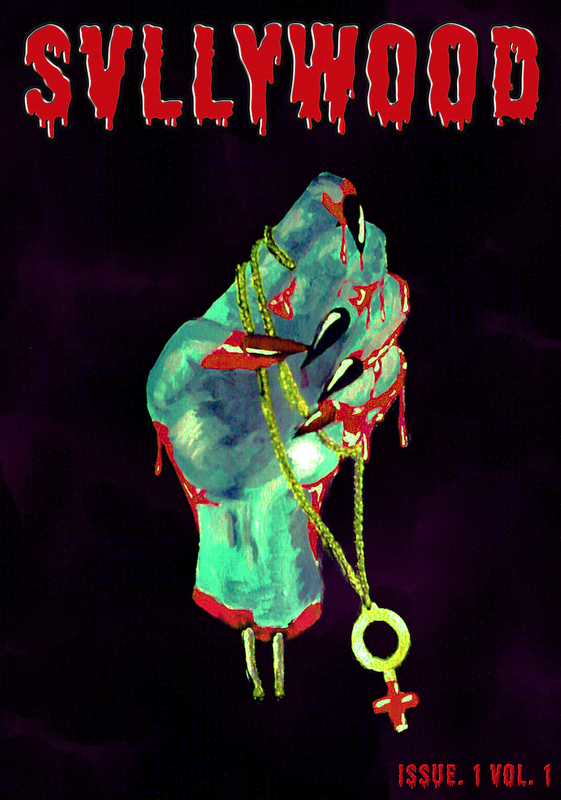 The publication by season has a punk twang; political, affirming, unapologetic, and poetic. Utterances of phrases that reasonably demand growth in the popular culture we love.Rooney's academic thirst and expressive muse blend seamlessly and creates engaging and informative work that aligns with a collective agenda of diverse perspectives in horror film criticism. The inaugural issue released on October 27, 2016, The Feminine Mystique Redux features "how women navigate the genre of horror, specifically through the prism of neurosis." SVLLY(wood) welcomes the voices of the marginalized in film criticism and visual arts who run on an autonomous yet edible standard of prose. 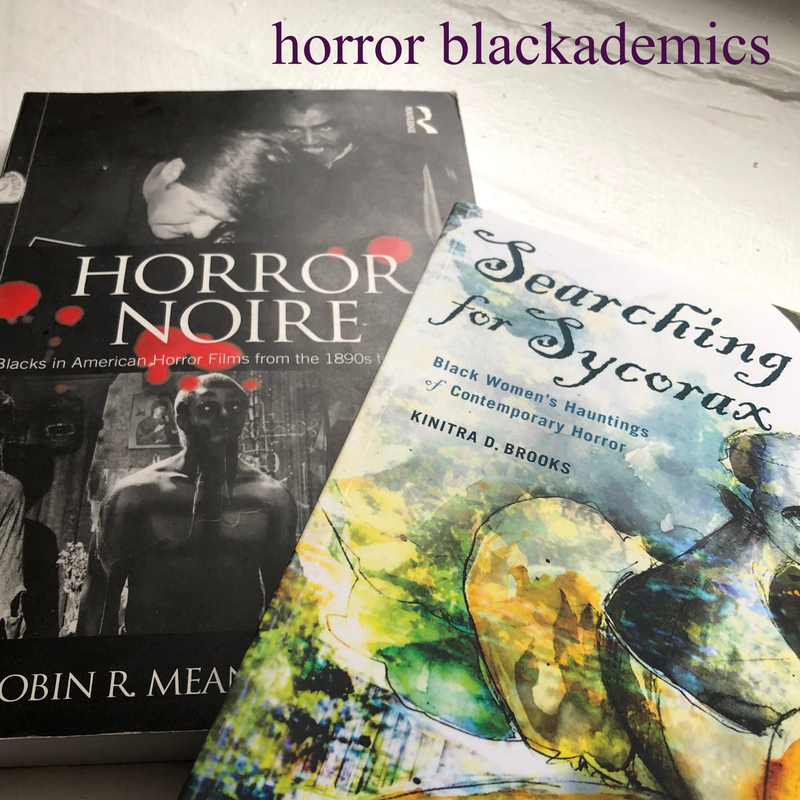 Forever elated to see the terrain of horror and academia collide with new work, I reached out to Rooney soon after this launch to learn more about the Black woman running this ship and why horror echoes in her consciousness. What is your first memory of discovering your interest in the horror genre? My earliest memory was watching Child’s Play (1988)! I woke up in the middle of the night and watched pieces of the film from the staircase as my older siblings sat around the television watching Chucky and his insane shenanigans. I vividly remember being caught and my mom putting me to bed and telling me I was way too young to watch the film but alas - the seed was already planted. My first taste of horror was through a voyeuristic lens which is so congruent with the genre, it’s truly the only medium of movies that thrills me which is why I deem it the most emotionally accessible template of cinema. How would you describe SVLLY(wood) magazine to anyone who may be interested in why you choose this name for your publication? SVLLY(wood) magazine is a new experimental print and digital publication geared toward curating a new kind of cinephilia, through diverse themes and prisms of ideology and aesthetic. SVLLY roughly translates to socialist vérité underpinnings of a new style of film writing. There’s a real sense of elitism and pretentiousness that plagues film culture and it generally stems from it being dominated by cis-white male voices. With SVLLY(wood), we hope to usher in a new way of thinking about movies and consuming cinema that allows for an open attitude towards the democratization of art and cultural resources. What does “intersectional horror film analysis” mean to you? 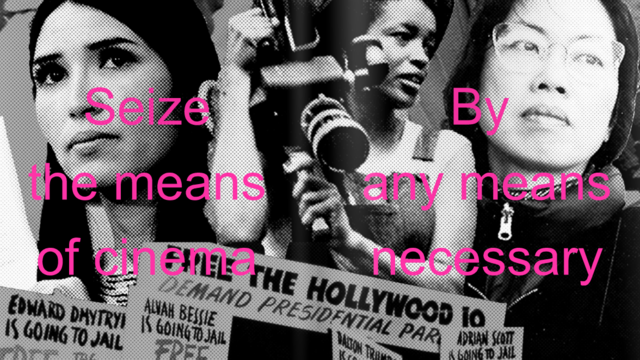 The Feminine Mystique Redux is the first issue of SVLLY(wood) and we want this edition to beacon a greater call for a deeper understanding of horror through a lens of race, class, gender, health, sexuality and in different mediums like poetry, art, criticism, music, and essays. The “Redux” in The Feminine Mystique Redux is all about remixing classic horror psychoanalysis for fourth wave feminist interpretation. For example I wrote an essay on black womanhood being a cultural metaphor for the “monstrous-feminine” a term coined by legendary critic, Barbara Creed. 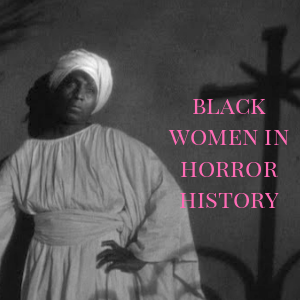 In her seminal text, The Monstrous-Feminine: Film, Feminism, Psychoanalysis she didn’t explicitly mention women of color in her criticism of horror, so I decided to take her blueprint of what the “monstrous” is and apply it to three classic Blaxploitation horror films; Abby (1974), Sugar Hill (1974), and Ganja and Hess (1973). There are many cases of updating horror tropes or neurotic narratives through a more in depth understanding of the genre. A Canadian trans writer discussed forgotten PTSD in The Final Girl through Laurie Strode in Halloween II (2009) and a Colombian critic dissected class relations in Lucrecia Martel’s The Headless Woman (2008) and the severely underutilized debate of public versus private space. 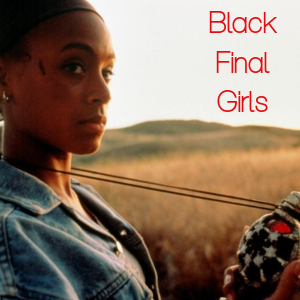 With the scholarship you’re working hard on in regards to Black women in the horror film genre, what have been some of your aspirations for Black women in the genre in the future? 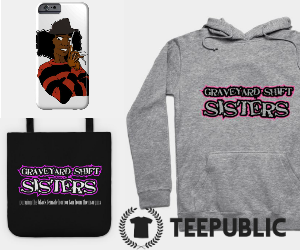 There isn’t exactly a plethora of black women imagery in horror, and as I started to dig deeper, I discovered not only is there a representation drought but the few characters we do see on screen represent heinous stereotypes that do our identity no justice. 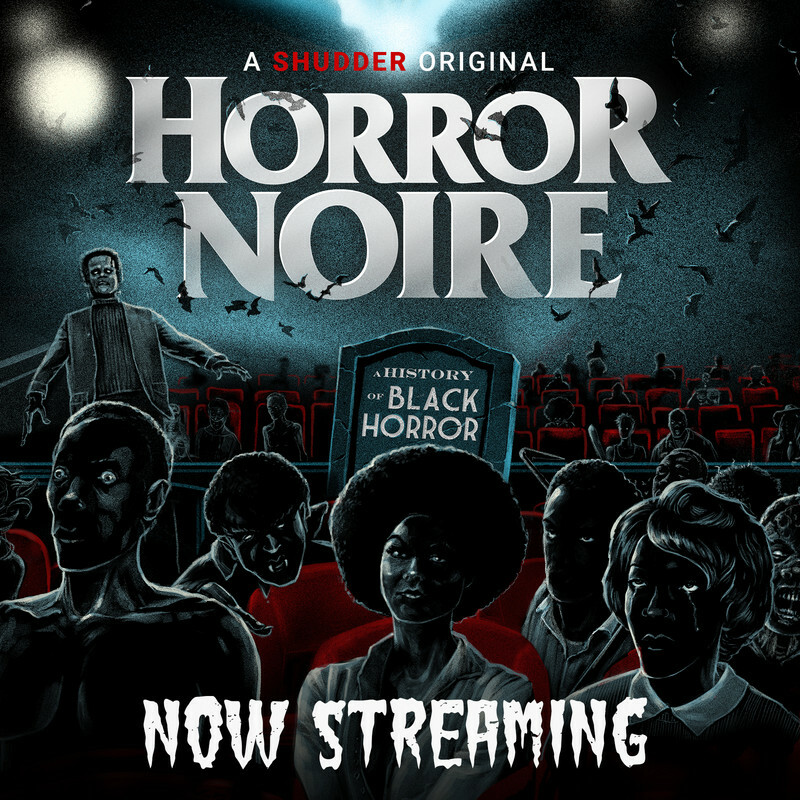 In all honesty, a huge inspiration for me is Graveyard Shift Sisters, and I’m not saying that because I’m being interviewed, it’s a genuine expression of gratitude for Ashlee and co. who are creating a really unique and necessary platform for black women horror fans. 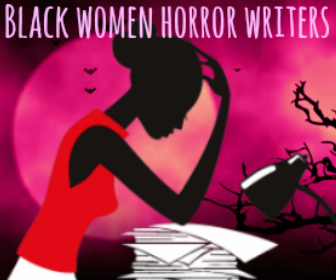 Learning about black women writing, scoring, directing, and starring in horror always gives me goose bumps. Black women across the diaspora have gone through so many traumas and violence that is etched upon our collective existence, if we see more of our creativity and resistance fueled into horror it would sincerely elevate the genre to new heights. What’s next for SVLLY(wood) and how would you like to see it evolve over time? I had so much fun curating The Feminine Mystique Redux. I’m already looking forward to the sequel issue next October! As of right now, we’re beginning to strategize for the next issue, which will be out early 2017 titled, INTIFADA! on the theme of uprising in film. 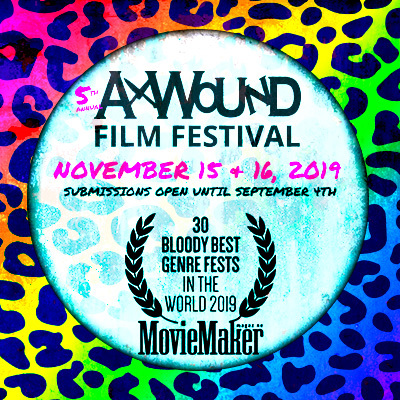 In addition to editorial duties, I really hope that people who once felt shut out of cinephilia can feel like SVLLY(wood) provides a space for community and collective growth in film scholarship. There’s no real master plan for the magazine besides being apart of a moment in D.I.Y publishing and archiving the sentiments of an international team of creators who love to talk about cinema! That being said, I’d love to see SVLLY(wood) being featured in workshops around the topic of democratization of cinema, having a video component to the magazine, as well as start selling the print issues in independent bookstores. As long as the publication evolves with the key principles I’m along for the ride! Be sure to read the manifesto as well!